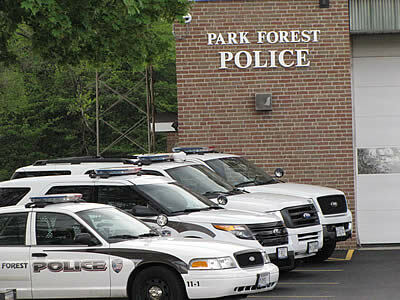 Park Forest, IL—(ENEWSPF)—Editor’s Note: We continue our reporting on news from police blotter reports. 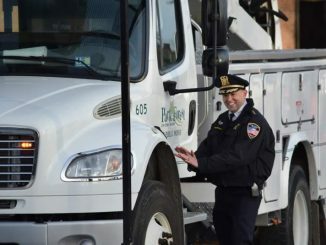 Besides covering the many stories from around Park Forest that otherwise might go unnoticed, we want to bring more complete coverage of police reports than is reported by other local media. Police responded to a report of a residential burglary February 10 in the 300 block of Sheridan Street. Nothing appeared to have been stolen, according to a report. Police canvassed the area but there were no eyewitnesses. Police responded to a report of criminal damage to property February 10 in the 0-100 block of McCarthy Road. According to a report, police observed a screen door window had been broken. Police responded to a report of someone trying to break into a home February 12 in the 0-100 block of Wilson Court. According to a report, police found that a door to a residence was damaged. The victim told police he heard someone trying to get in through a door. When he called out, the person left. Melissa K. Ruelle, 43, 3333 S. Commercial Ave., Chicago, was charged with criminal trespassing February 14 in the 300 block of Shawnee Street following a trespassing complaint. According to a police report, a man and a woman had been occupying the residence at least since December. The residence had also been recently deemed unfit for occupancy by the Park Forest Building Department. Robert S. Payne II, 25, 3417 Kings Rd., Steger, was charged with driving under the influence of alcohol, speeding and driving an uninsured vehicle following a traffic stop February 16 at the intersection of Apple Lane and Western Avenue, police said. Four televisions, a mattress and two sound systems were stolen from a residence February 16 in the 300 block of Nokomis Street, according to police. Power tools estimated to be worth over $25,000 were stolen from a vehicle February 17 in the 0-100 block of Thorn Creek Drive, police said. Tresean C. Gines, 20, 304 Miami St., Park Forest, was charged with possession of cannabis and failure to wear a seatbelt following a traffic stop February 17 at the intersection of Western Avenue and Main Street, police said. 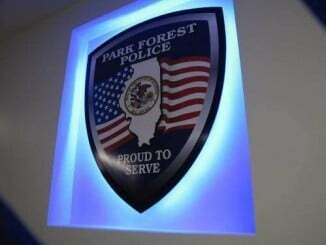 Police reported that an elderly Park Forest resident was the victim of a phone scam. According to a police report, the victim received a phone call, allegedly from his grandson, who stated he was involved in a traffic accident in the Dominican Republic and that drugs were found in his car. The caller instructed the victim to mail $8,000 to an attorney in New York in order to secure his release. The victim mailed the money to an address in New York. A man was the victim of a battery February 20 in the 400 block of Sauk Trail. According to a police report, the victim walked out of a barber shop when another man wearing gold shoes, a tan hoodie and dark pants punched him in the face. 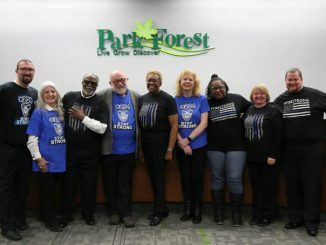 The victim did not wish for the Park Forest Police to investigate. Frederick A. Edmond, 42, 516 Concorde Ct., Chicago Heights, was charged with battery, obstructing a police office and resisting a police officer following a shooting February 20 in the 600 block of Brookline in Chicago Heights. According to a police report, Park Forest Police were asked to assist Chicago Heights police following the shooting. A television, jewelry, cash and a computer were stolen February 21 from a residence in the 100 block of Fir Street, police said. Cecilia Roberson, 23, 881 Berkshire Dr., Crete, was charged with driving under the influence of alcohol, leaving the scene of a traffic accident and operating an uninsured vehicle following a traffic collision February 21 at the intersection of Shabbona Drive and Sauk Trail, police said. Police responded to a report of a retail theft February 23 in the 0-100 block of Main Street. According to a report, a man in a tan winter coat took a package of frozen chicken from Dollar General, then fled on foot through nearby apartments. All four of a vehicle’s tires were slashed February 25 in the 100 block of Sycamore Drive. According to a police report, there were no eyewitnesses to the incident nor was camera surveillance available to record the incident.